Nancy Mae (Duncan) McMorris was born in Denver, Colorado, on January 5, 1935. Her father, Fred W.H. Duncan, had five daughters from a previous marriage: Ruth, Arlene, Pauline (Polly), Alice and Jane, who died when Nancy was a baby. Her mother, Minta Estella (Thorp) Duncan, had two children, Nancy, and older brother Fred. Her parents and all her siblings preceded her in death. Her father worked at the Rocky Mountain Arsenal in Denver before the family moved to Albany in March 1946. Nancy attended school at Madison School in Albany. Mrs. Duncan found a teaching job at Oregon State College in Corvallis, where the family moved. After a year, Mrs. Duncan obtained a teaching position in Bay City, Oregon. The family lived in a rental home in Rockaway for a year, then her father moved the children back to Corvallis while her mother continued to work in Bay City, visiting Corvallis on the weekends. 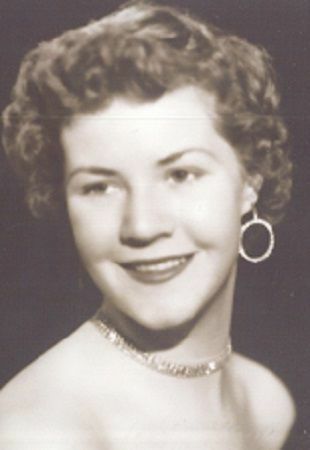 Nancy graduated from Corvallis High School in 1953. She then attended Oregon State College, School of Home Economics. Nancy studied textiles, and aspired to become a clothing designer or department store buyer. She worked a variety of jobs including waiting tables at the Memorial Union, working as an usherette/cashier/concessionaire at a downtown movie theatre, baby-sitting, and as a college groundskeeper in the summer. During the summer of 1954, Nancy was introduced to Don McMorris during a blind date arranged by the Robert Berman family, for whom Nancy baby-sat, and Don worked at their store as a pharmacist. The date was a success and a lifetime relationship was begun. Don and Nancy were married in her Corvallis Methodist Church in June 1955, after Nancy’s sophomore year. Nancy put college on hold to start a family. Brian was born in November 1956, Brent in 1958, Regan in 1963, Shawn in 1966 and Brice in 1971. Don and Nancy built a new home in northwest Corvallis in 1956. The family moved to Albany in 1961 after purchasing Hurley’s Drug Store in downtown Albany. Nancy worked in many roles at the Drug Store. She also cared for the growing family, as well as teaching hundreds of boys and girls to swim at the YMCA and at Albany Tennis Club. Nancy’s interest in cosmetology and sewing led her to volunteering at the Albany Civic Theatre, where she sewed costumes and applied make-up, and sang in musical productions. About this time, Nancy also developed a strong interest in art, particularly watercolor painting. After all of her sons were in school, Nancy returned to her college education in 1979. She started at LBCC, then transferred to Western Oregon College in Monmouth where she obtained a bachelor’s degree in education with a major in art. She then obtained a Master’s Degree in Art, Art History and Education at Oregon State University. After graduating, she worked as a substitute teacher and later taught art classes at LBCC. Nancy was a member of Gamma Phi Beta in college and had been a member of Beta Sigma Phi in Albany. She was active in the First United Methodist Church as a Sunday school teacher, Acolyte Mother and choir member. She was a generous lady, sharing with Salvation Army, Alzheimer’s Association, Albany Civic Theatre and many other charities. A service will be held at 2 p.m. on October 21 at the United Methodist Church in Albany. In lieu of flowers, donations in Nancy’s name are requested to Albany First United Methodist Church, Oregon State University Foundation (4238 SW Research Way, Corvallis, OR 97333), or Mennonite Village Foundation.